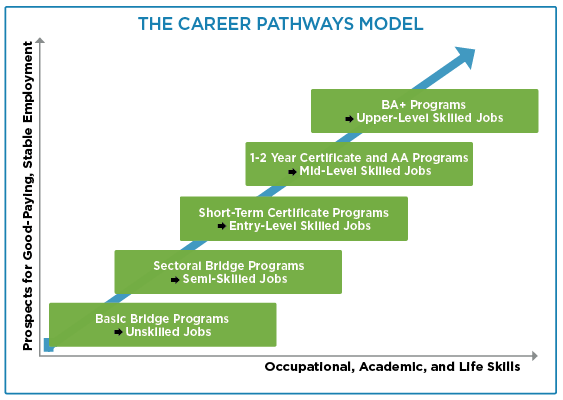 Why is the Career Pathways Program important? Literacy, numeracy, and English language requirements often make it challenging for adult learners to access occupational training opportunities. Historically, educational prerequisites have prevented this group from enrolling in job preparation courses due to requirements related to minimum levels of academic proficiency. The career pathways developed through this project will create integrated education and training opportunities that ensure accelerated access to industry credentials and work opportunities for adult learners. AAWDC is utilizing the grant to develop and implement contextualized training and employment programs for job seekers who are basic academic skills deficient and interested in careers in healthcare and general trades including transportation. The Baltimore Accelerating Connections to Employment’s Emergency Medical Technician (BACE-EMT) Project supports career pathways as a method through which Adult Education students funded under Title II can gain skills, credentials, and upward mobility in the healthcare sector. The BACE-EMT project will use the Integrated Education and Training (IET) model of service delivery. The Mayor’s Office of Employment Development (MOED) and partners, South Baltimore Learning Center (SBLC), Strong City, and Baltimore City Community College (BCCC) intend to recruit students who are currently enrolled or have recently completed their education in Title II funded programs and are interested in careers as EMTs. Mid Maryland’s project, Zap the Gap, focuses on English Language Learners interested in allied healthcare careers and trains them for two certifications: Certified Nursing Assistant (CNA) and Patient Care Technician (PCT). Orientation, career exploration/essential skills and bridge classes will be held at the American Job Center (AJC). The Transition Coordinator will have office hours at the AJC. EPG will provide specialized workforce services to English Language Learners and low basic skills individuals to create and align career pathways into the construction trades by using the Integrated Basic Education and Skills Training (I-BEST) service delivery model. Prince George’s Community College (PGCC), Adult Education Division, will provide ESL instruction. The pre-apprenticeship programming will be offered by the International Union of Brick Layers and Allied Craft Workers Local 1 and the International Union of Painters and Allied Trades/Finishing Trades Institute. 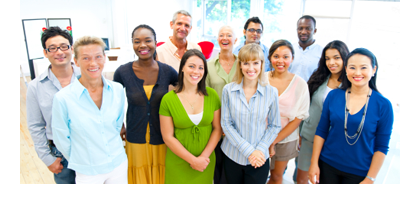 Traditional occupational skills training will be provided by PGCC’s Team Builders Academy. WMC is utilizing their grant to develop and implement interventions, address barriers to employment, and increase the numbers served to be placed into meaningful education and employment opportunities to increase their earning potential. Through Integrated Education and Training (IET), WMC is combining adult education and literacy, workforce preparation, and workforce training ensuring that each occurs simultaneously using occupationally relevant instructional materials.